The results of Alberta’s first competitive renewable energy procurement confirm what I’ve been saying since the process launched earlier this year: Albertans are paying the lowest prices ever seen for wind energy in Canada. The Alberta Electric System Operator (AESO) announced this week that it will provide contracts for four wind energy projects at an average price of $37 per megawatt-hour using an Indexed Renewable Energy Credit (IREC). 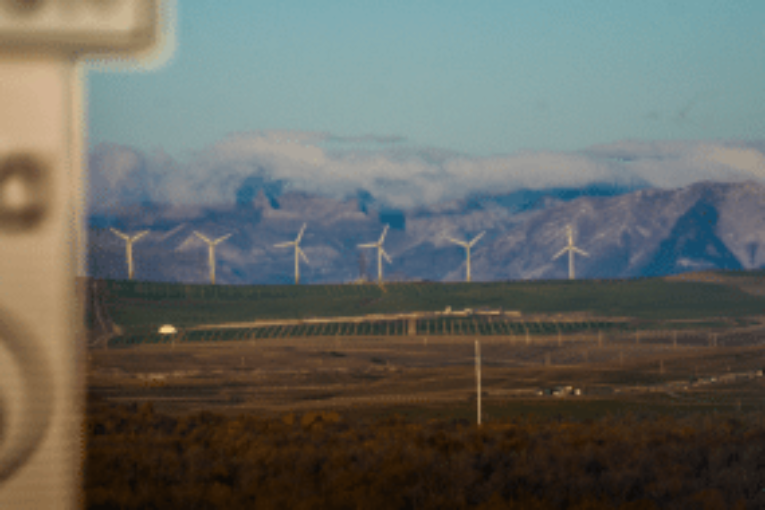 It’s the most compelling evidence yet that wind energy is not only the least expensive source of new non-emitting generation, but also competes head-to-head with conventional fuels like natural gas. There’s a lot that goes into determining the price that wind energy developers bid into this program. Developers have to factor in the strength of the wind resource at the project site, the price tag for the turbines, the cost of constructing the wind farm and related infrastructure, the fees to connect to the grid, the salaries of operations and maintenance personnel, the cost of long-term financing and interest rates, the property taxes owed to the local municipality, the annual lease payments to landowners hosting the turbines, the cost of decommissioning the facility when it reaches its end of life and a viable return on their investment. When you add it all up, the successful companies had to really sharpen their pencils to provide their best possible bids. The AESO created a made-in-Alberta procurement process designed to harness competitive market forces and get the best deal for consumers, attracting 4,000 MW of competition for 600 MW of contracts. Beyond the competitive aspects of this procurement driving prices down, wind power developers were also helped along by the fact that technological innovation has driven down the levelized cost of wind energy dramatically. Taller towers, longer and more aerodynamic blades, more sophisticated control technologies and better siting techniques have improved productivity, resulting in cost reductions of 67 per cent in the last eight years alone. It also didn’t hurt that they were working with some of the best wind resources in all of Canada. While we’re talking about the cost of wind, it’s also important to understand its value. You’ll notice the list above doesn’t include the cost of fuel. The wind that turns the turbine blades costs nothing, so the AESO is able to lock in the long-term cost of electricity and protect consumers from unpredictable fuel price spikes – which may drive spikes in the wholesale energy market. The IREC is designed to take advantage of this predictability. When the wholesale price of electricity is below the contracted wind price, companies are paid the difference. But when it’s above, perhaps driven higher by volatile natural gas prices or carbon charges on fossil fuels, the wind producer pays the difference back to the AESO. These advantages will allow Alberta to cost-effectively supply 30 per cent of the province’s electricity needs from renewable energy sources by 2030. At the same time Alberta is building a clean and modern grid, it is laying the foundation for a clean and modern economy – one that will ensure the province remains at the forefront as Canada, and the rest of the world, transition to low-carbon sources of energy. Varcoe: Oil prices climbing. Oilpatch spending not so much.